Click the button below to add the OMG Spackle to your wish list. OMG Spackle is the newest product in the Dr. Fitt line-up. 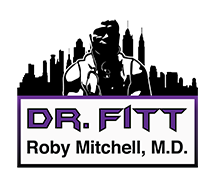 Like the other Dr. Fitt products, it adheres to the concept of Intelligent Design that facilitates the body's innate healing mechanisms. Scars are a result of the body's attempt to repair damaged skin. The damage may come from rapid expansion of skin during pregnancy. Damage may also result from an injury or a surgical procedure. Repair of the damage involves a complex orchestration of delivering macromolecules, like collagen and elastin, and a controlled inflammatory process involving cytokines like interferon alpha. An imbalance in this process leads to scar tissue. In dermatology, this orchestration is mitigated by chemicals such as retinoids, methotrexate, mitomycin, and Tamoxifen. If you understand the pharmacology of each, you can match their effects with natural ingredients. Those ingredients are in OMG Spackle. The proprietary blend of vitamin C, black seed oil, and coconut oil facilitates the Intelligent Design healing process to restore more normal appearing skin. DIRECTIONS: Massage into stretch marks daily for one month.